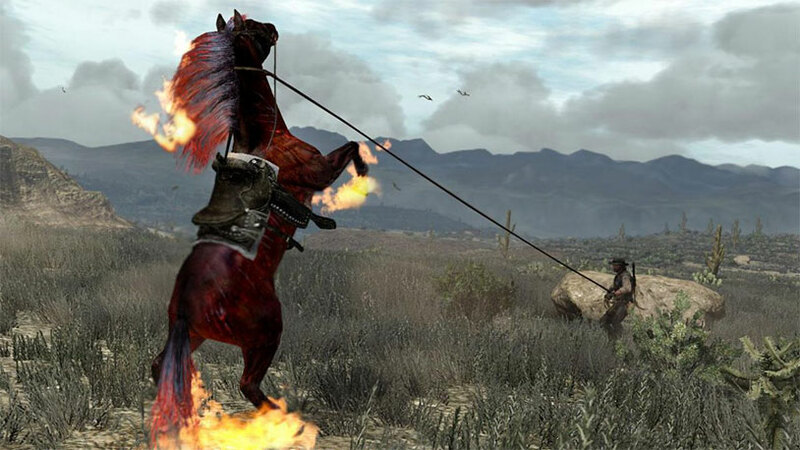 New games from Rockstar are few and far between, but when they come out it’s easy to see why. Their attention to detail is out of control. Their next title is Red Dead Redemption 2, the sequel to the classic open-world Western that first came out in 2010 for PS3 and Xbox 360 systems. That game was a hit, with well-crafted characters and exciting action, so a follow-up was only a matter of time. Red Dead Redemption 2 is slated for release sometime in 2018, and the company is slowly doling out information about it. A new trailer dropped over the weekend, and fans are already picking it apart to see what they can expect from the game. One of those things? Realistically animated horse ballsacks. Obviously there’s no reason for the studio to do this. But attention to detail is just part of the Rockstar experience. Think about all of the radio stations and TV shows and the like in the Grand Theft Auto series – if they weren’t there, the virtual worlds wouldn’t feel quite so immersive. So kudos to whatever animator got assigned horse nuts. Read more about these big juicy horse balls at Gamerant.